As of May 1, 2015 in Indiana the volume cap for a brewery within the state was 90,000 barrels. It was much less before and that increase occurred due to a craft brewery in Indianapolis that just wouldn’t stop growing, or fighting for the right to grow. 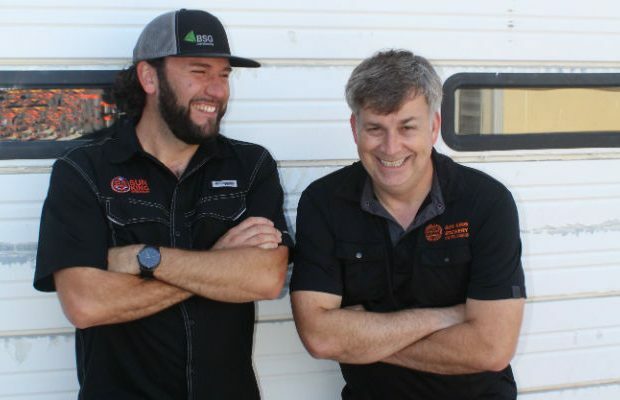 Clay Robinson and Dave Colt, the founders of Sun King Brewing were part of creating Senate Bill 297, which was passed by then governor Mike Pence. 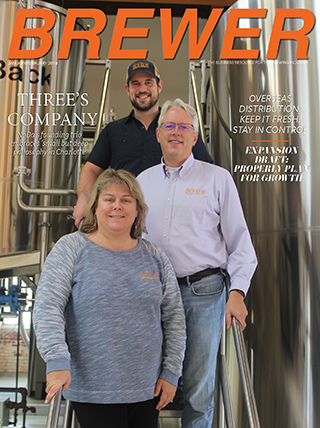 Working with state legislators, the two former brewpub brewers that opened Sun King in 2009, worked at fleshing out what is now state law back in late 2014 when the cap had been raised in 2012 from 20,000 to 30,000 barrels. “We said here is the general gist we want,” explained Colt about the process of coming up with the bill and working with the lawmakers that were in favor of the process. “You give it the right language it needs for the bill. “I just said: ‘Look, I am a small businessman. We want to make beer. I have no aspirations to have to come and plead to the legislature about it. But I know we can’t plan our business if we can not grow and if we don’t change the laws. If you don’t want the law to change, then we won’t grow. We won’t hire new people, we won’t reinvest more into equipment or more into our community. We won’t make more beer to sell, which means no more extra excise tax for you and we’ll just stop. If the limit is going to be 30,000 barrels, then fine, we will coast at 29,995 barrels from now til eternity, then that’s fine. But if you say that we can do more, than we are going to invest millions of dollars into our facility, we will create a bunch of new jobs, and sell a hell of a lot of more beer. We are going to create more tax revenue. You just tell us whatever it is, because, you know what, it’s fine. I don’t want to be here right now. I have friends coming in to do a collab at the brewery, I should be making beer. Teamed with Munster, Indiana brewery 3 Floyds Brewing, who helped foot the bill of more than $100,000 between PR, marketing and lobbying, and with support from the Indiana Brewers Guild in the form of Support Indiana Brewers, the bill was passed and the brewery was able to move on in growth – expected to top 40,000-plus barrels in 2017, which is double digit growth from its 2016 mark of more than 35,000 barrels. “We teamed with 3 Floyds to make a beer called Slacktivist to help defray the cost,” Colt said. “Even though they were past the limit (it had surpassed 30,000 barrels per year in 2013), they still felt honor bound to be a part of the change and help us. Before getting the cap law switched, Sun King used its leverage as a growing brewery to show they meant business. The brewery announced in 2015 that since it was up against the 30,000-barrel cap that it would use the power of the state laws with distributors to end agreements with three area distributors and halt its production at 29,000 barrels. 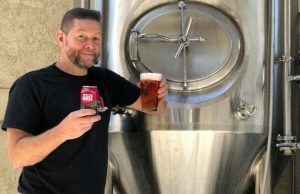 Had Sun King gone over the limit, the brewery would have been in violation of its license and it would have had to close its taproom. “We had a one-page agreement that gave either side the ability to terminate the agreement for whatever reason we wanted,” Robinson said. “So we said we can’t sell you beer because if we sell all that we want, we will violate our license and so we terminated our agreements with them. Two of the distributors joined the fight. After the cap was moved up, Sun King rejoined the two distributors that supported them. “They got our business back in the end,” Robinson said. The cap was created in the mid 90s when Broad Ripple Brewpub and Lafayette Brewing Company opened the first craft beer breweries in the state. The law also stated that breweries that make less than 30,000 barrels can self distribute in the state, which Colt says is the growth engine for new and growing breweries. “You need every single dollar you can get your hands on to start,” he said. “Tanks are 10 grand, getting more and better delivery vehicles and hand trucks and line cleaning equipment and people is extremely capital intensive. Robinson said that he and Colt met with a distributor early on when looking to expand their product’s reach from the taproom. At the time Sun King was reaching about 1,000 barrels in its first year. 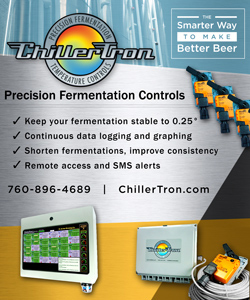 When working on a business plan in 2008, Robinson and Colt used that meeting and started to plug numbers into spreadsheets that showed what the brewery would need to do to break even with a distributor and without. Today Sun King is fully distributed through distributors. In the summer of 2017 the brewery expanded beyond the Indiana state borders for the first time adding both Chicago, Illinois and Louisville, Kentucky. 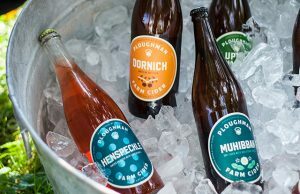 At one point, the thought process was to keep all the beer in the state, using a similar philosophy employed by New Glarus Brewing in Wisconsin. But digging into the numbers eventually put the kibosh on that as the brewery decided to add markets outside of the state in 2017. “We have capacity, bills to pay and people to support, programs to enact and we want to continue to grow and do it smart. We can do more beers with breweries in Louisville and Chicago. We can collab there and do fun stuff and be a part of the markets. And we have been blown away by the reception. “We can’t get static lines in our own town because its ‘rotation nation’ here, but you go across the river to Louisville and people are so excited to have us there,” he said. “They are offering static lines and a rotator and asking for cans. There were four of us on the sales call and we got a draft line or a can placement in 100 different places we stopped at. They are super excited. “Same in Chicago. About 50 percent of bars and restaurants we went to had buyers that have been to our brewery. We are blown away that they know who we are. There are 10 million people in Chicago and there is a lot of great beer in that town and they know who we are. It’s exciting. The Sun King duo was dreaming large from the start. The brewery opened in a 13,500-square-foot warehouse on the east side of Indianapolis in 2009 with a 15-barrel brewhouse. Robinson said the price was right, and the two were comfortable with it. “It needed some repairs and modifications, but it was stuff we knew and we knew how to get the parts we needed,” he said, noting the original brew system was $147,000 with a 15-bbl brewhouse with separate whirlpool and one 7-bbl fermentor, five 15s, a 30, a full walk-in cooler, a grist mill. Colt said of the reasoning the two had high aspirations from the start with plans for 1,000 barrels by the end of 2010 was because of the population size of Indianapolis, which the metro area touted around one million. 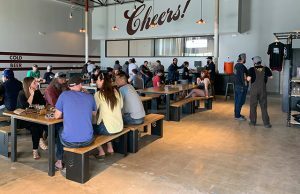 “Having a tasting room open as well, we figured we could move beer through there and around the area,” Colt said. After opening in late 2009, the brewery did a modest 500 barrels. The projected 1,000 bbls after the first full year ended up at 5,000. Never what they called “classically trained,” the two set off to build Sun King around a few recipes they had worked on. One of those recipes is “Sunlight” Cream Ale, which the guys had planned to be the summer seasonal in their lineup. Happenstance had it that they would be very wrong. Although they didn’t crowd source the information, the public makes up your mind for you says Robinson. Colt called Osiris his and Robinson’s heart. “Luckily other people like it so we haven’t had to kill it,” he joked. “Sometimes there are passion projects, but at the end of the day, you have to make sellable beer. People have to want to drink it, not just one time, but over and over again. There are passion projects that are fun things that get thrown out there.